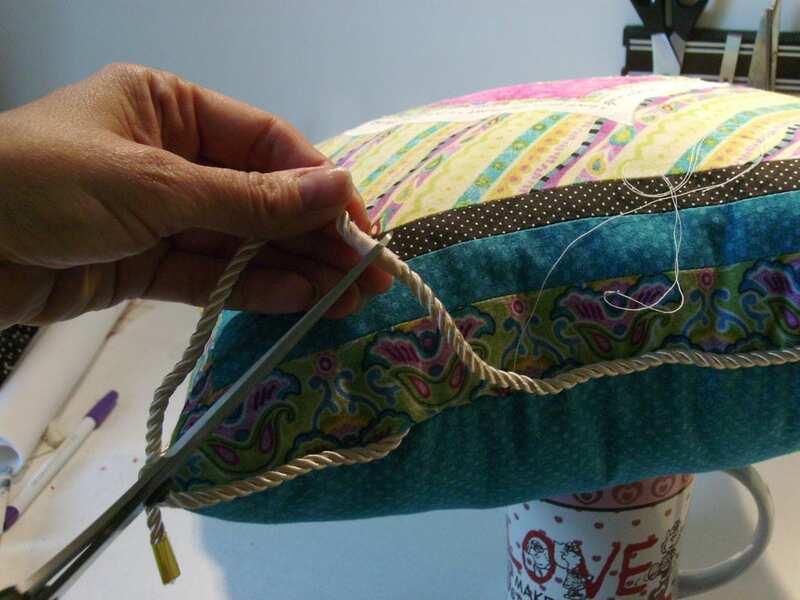 Adding decorative cord is an easy DIY pillow idea that can really dress up a pillow! There are so many beautiful decorative cords available. Visit your local fabric store or shop online. Don’t limit yourself to home decor trims. You’ll find fashion trims that will do very nicely! I’m sure you’ll find the perfect finishing touch for your project. Follow a few simple steps to apply your purchased cord like a pro. If you’d like to make custom bias covered cord, visit my tutorial (click here) and you’ll find it’s a breeze! 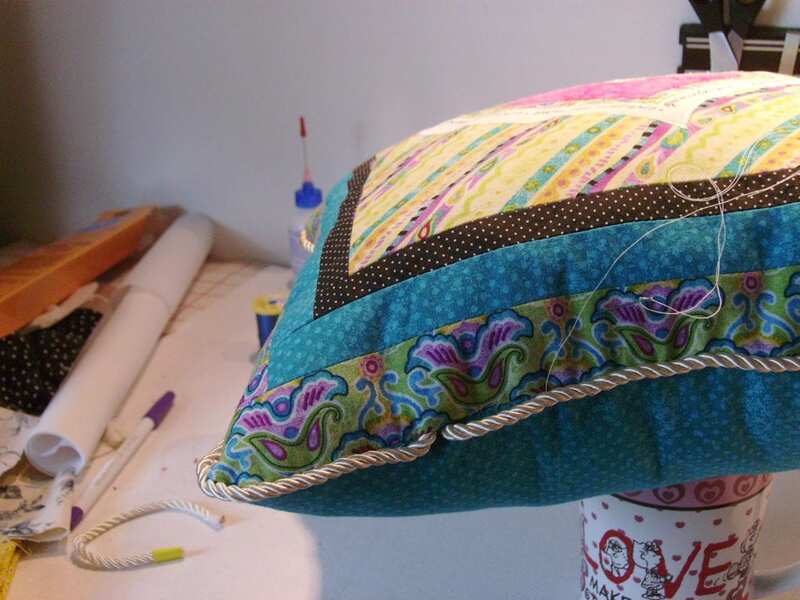 Stitch around the pillow using desired seam allowance, leaving 5-6” on the bottom edge for stuffing. Round your corners as shown in this illustration for square (but not too pointy!) finished corners. 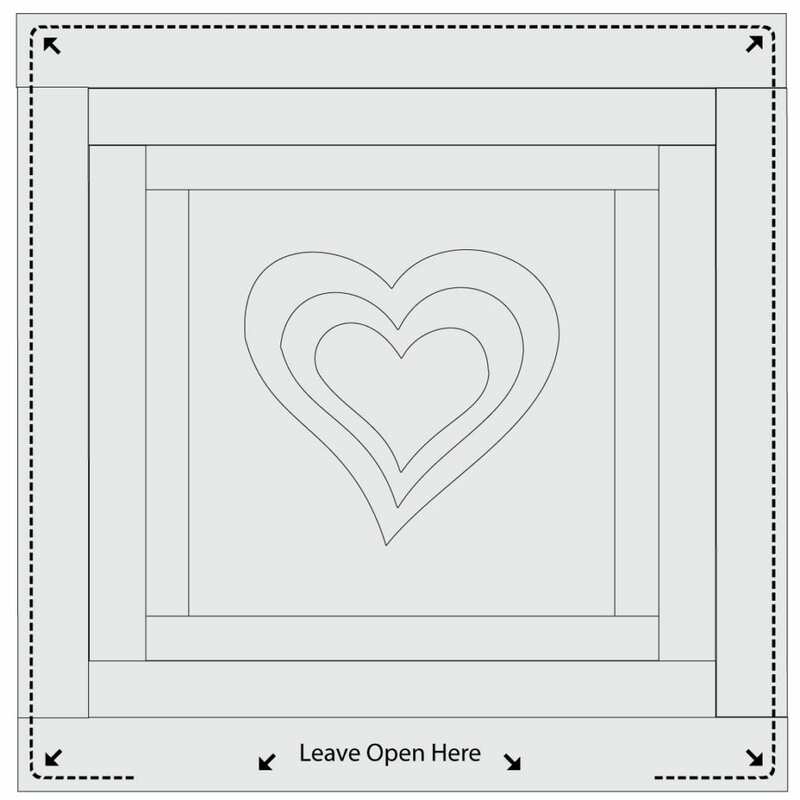 NOTE: If using a pillow form, I suggest you leave an 8-10” opening. Trim and clip corners. Turn pillow right side out. IF corners are too sharp, restitch them. Stuff with Polyfill to desired fullness or insert pillow form. 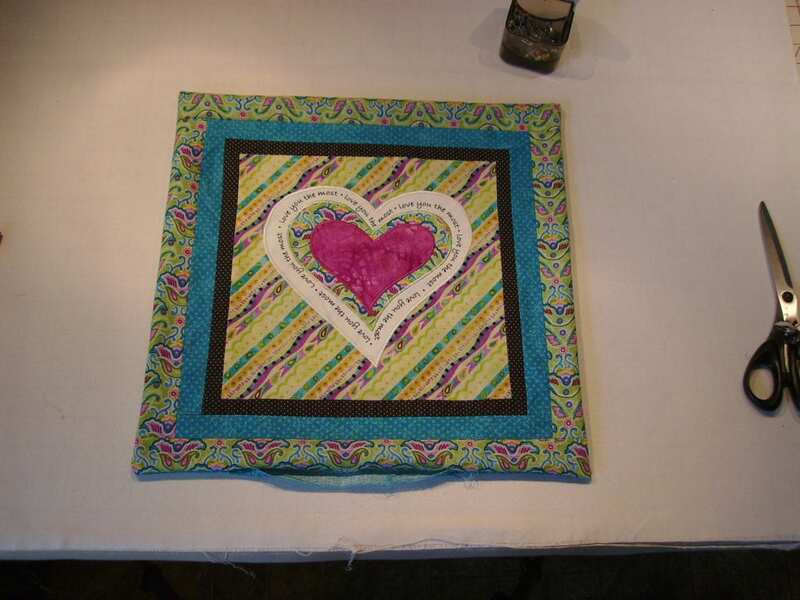 Slip-stitch bottom closed, leaving about 1″ open to insert cord end. Insert starting edge of cord in opening space. Wrap tape around the end of cord to prevent raveling. Cut off excess in the middle of tape. 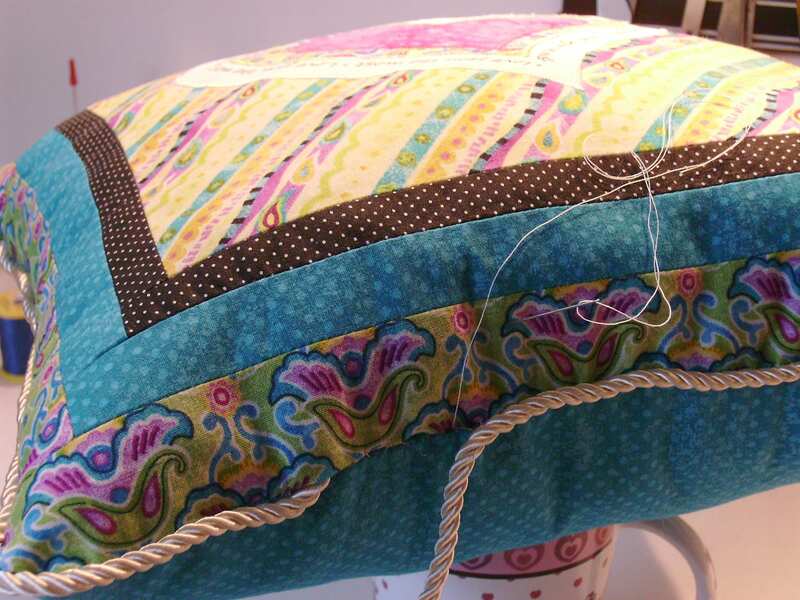 Insert end into opening and finish stitching cord to pillow. Close opening and connect ends smoothly. I hope you like this easy DIY pillow idea! 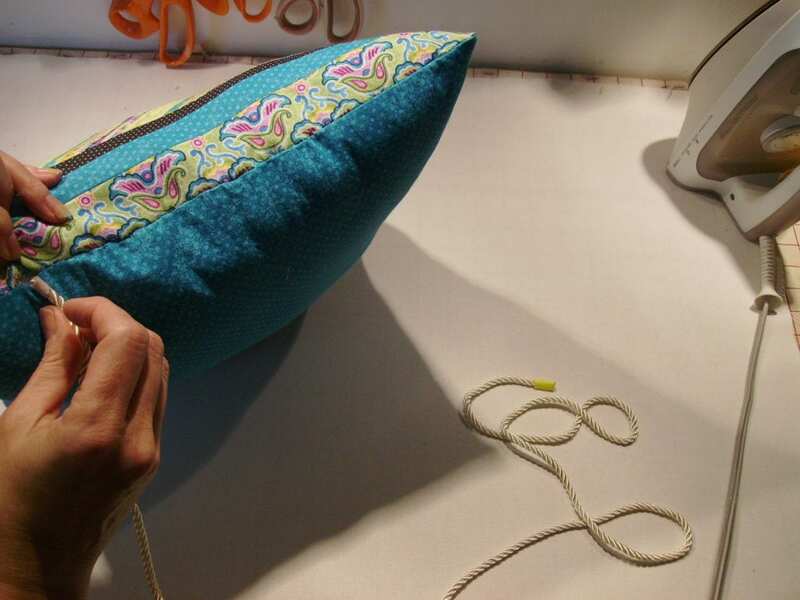 Adding a decorative finishing touch to a pillow doesn’t come any easier than this.